You are at:Home»ETF Strategist Channel»Is it Time to Un-Friend the Market? This year the S&P500 has experienced two 10% drawdown periods from the all-time high. However, the market is behaving much different in the current correction than it was at the beginning of the year. For instance, the worst level of drawdown for the S&P500 in the beginning half of 2018 was on February 8th, when it was down ~-10.1% on a total return basis. 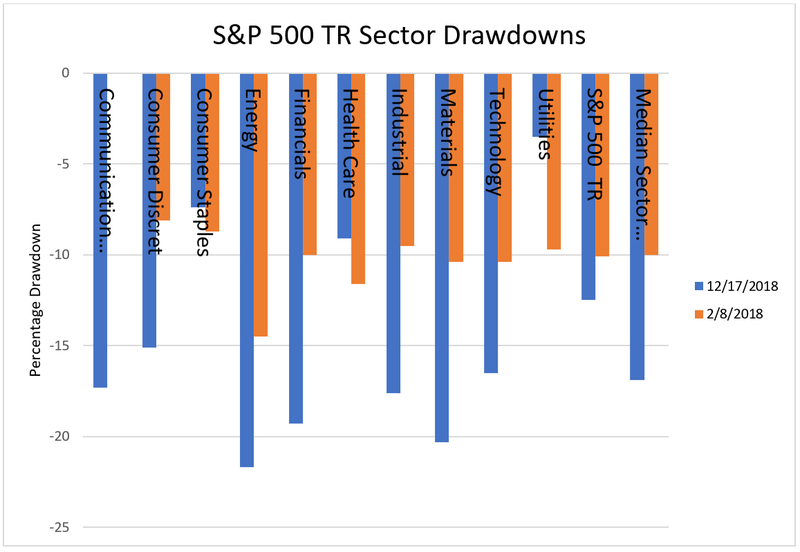 On that same day, the median sector drawdown was ~-10%. Fast forward to the second correction, the worst day for an S&P500 drawdown on a total return basis was December 17th at ~-12.5% while the median sector was down ~-16.9%. Nearly half of all companies in the S&P 500 are down -20% or worse year-to-date, which means if you have any sort of growth tilt, it’s probably down worse than the market. For the last five years, companies which beat earnings expectations on average have seen a +1% price jump, however companies that beat Q3 expectations received no reward for their efforts. 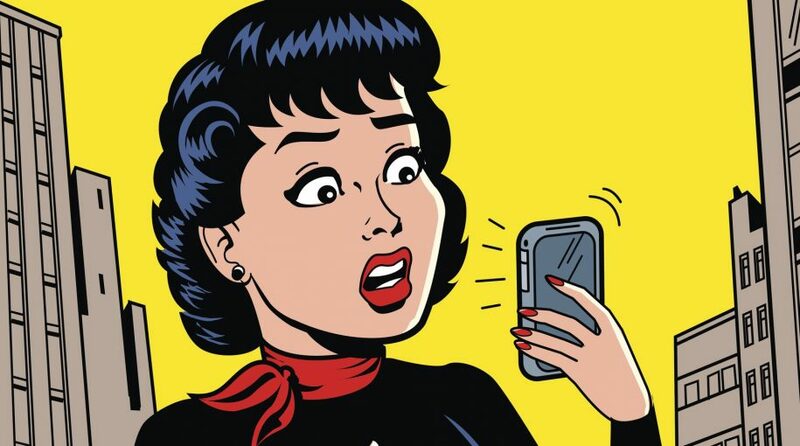 Should we downgrade the market from best friend to Facebook acquaintance? When you look at a long-term chart of the S&P 500 going back 20 years and highlight the time slices where this price divergence occurs of stocks inside the index, you will find that this type of behavior has only happened during corrections (surprise) and has always occurred at the bottom of them (surprise again). What’s unique is that the correction at the beginning of 2018 did not carry this characteristic. The selloff that started in late September is pounding stocks and sectors worse than it did in February when the S&P 500 declined a similar amount from its high. It’s a similar story when we take our attention away from the S&P 500 and look at mid-caps and small-caps too. If we (incorrectly) state that the bull market began at the bottom of the Great Recession in March of 2009, it looks like one giant run-up to an eventual pullback. However, when we take a closer look, 2010, 2011, and 2015 all experienced pullbacks greater than what we are experiencing now with 2011 and 2015 arguably hosting secular bear markets. I say that to say this, we have been here *recently* and recovered considerably. That does not mean that volatility will not continue and that stocks will continue to get hit harder than the overall index, but it does imply that resets happen, and we should expect them. The historical median drawdown for every year going back to 1928 is -13%, which means that this year is less painful than history says we should prepare for it to be every year. When it comes to investing, context is as important (if not more critical) than content. Trying to predict how the markets can perform in the future should not frame how you build wealth as it is challenging and holds a huge luck component. Investing starts with a net-worth statement, grows to your life goals (which are funded by your capital), synchronizes with your unique risk number, integrates with your estate planning, and then is allocated to the market. Those pillars are the toolset for finessing any market narrative because it gives you the ability to measure the outcome you desire accurately, and then to rework the best path to achieving that outcome with the highest probability. After all of those tasks are complete, we can talk about expectations of return. In my opinion, it’s the only way to invest with your best interest in receiving the most priority during the decision-making process.